People who abuse drugs or alcohol rarely decide to start using on a whim. Many times, they begin using illicit or prescription drugs or drinking alcohol to mask or numb emotional and mental distress they experience on a daily basis. Because their substance abuse issues are tied directly to their mental health, many addicts fail to achieve total sobriety by undergoing treatment that only addresses their physical dependencies. They must also receive care that targets their emotional and mental challenges. To help addicts successfully overcome their dependencies, many recovery centers now focus on treating underlying mental health issues along with the physical side effects of abusing drugs and alcohol. If you are ready to work toward sobriety, your first step may involve checking yourself into a recovery center that can treat your underlying mental health concerns along with the physical symptoms you experience from using. Upon checking yourself into the facility, the team assigned to your care will examine you thoroughly to identify from what mental or emotional challenges you might suffer. Once your medical team knows from what mental health issues you suffer, they can begin to formulate a plan to treat you holistically and guide you toward recovery. The medical team assigned to you during your stay in the recovery center will comprise not only of a medical doctor and nurses but also a therapist and perhaps even a psychiatrist. Your therapist and psychiatrist will play a vital role in your recovery primarily because they will be in charge of your mental health treatment. Your psychiatrist may prescribe medications for you to take during the time you are in recovery. Depending on your mental health challenges, you may be prescribed antidepressants, anti-anxiety medications, or benzodiazepines that will help you remain calm and focused during treatment. Your therapist will work with you on an individual basis as well as in group therapy. Your individual talk therapy will focus on helping you confront trauma like abuse or neglect you may have experienced in the past. 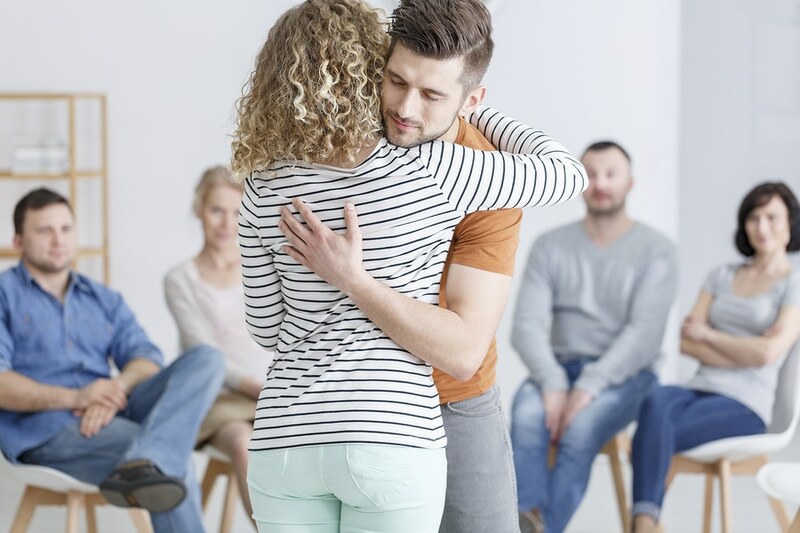 With your therapist’s guidance, you may be able to objectify these experiences and learn coping methods to help you overcome them mentally and emotionally. You also may be required to participate in group therapy several times per week during your stay. The group therapy allows you to hear the stories and experiences of others in recovery with you. You can also contribute your own insight and knowledge, which could help people in the therapy group with you work toward their own recoveries. Taking part in therapy is often mandatory for anyone enrolled in a recovery center program. It is designed to teach you coping mechanisms and objectivity that you can rely upon to avoid using again once you are discharged and sent home. Overcoming mental health challenges may also be easier for patients like you with activities designed to help you relax and enjoy your time in recovery. These therapeutic activities may involve art class, which may be held on a daily basis for patients who want to participate in it. In art therapy, your teacher may allow you to paint sculptures, color intricate patterns, or work with clay. This therapy allows you to distract yourself and also enjoy relaxing activities that gives you a creative outlet for your emotions. Another therapy you might take part in is music therapy. Music therapy may involve listening to classical music. You also may be encouraged to play musical instruments like a piano, recorder, or a guitar. Like art therapy, you may enjoy a therapeutic release for your emotions. You also may be distracted and find that you can relax and enjoy your time in recovery. These activities will typically be led by a therapist or instructor. Some activities like meditation may be self-guided and done entirely on your own. Overcoming mental health issues could permit you to heal from drug and alcohol dependencies. Dealing with these issues often cannot be done entirely on your own. You could benefit better and experience the relief from mental health issues by checking yourself into a licensed drug or alcohol recovery center. Call one of our counselors today at770-299-1677.